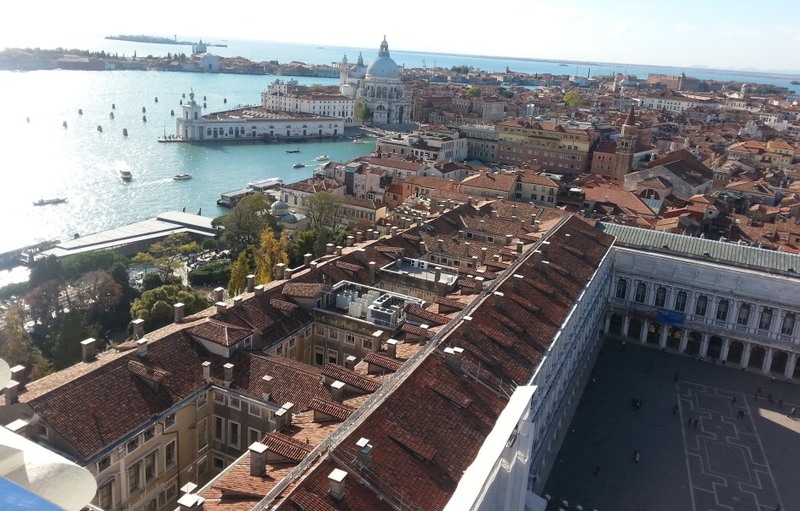 Guang Zou, ESR5, was awarded a “Best Paper Presentation” prize at the 18th International Conference on Reliability and Structural Safety (ICRSS 2016), held in Venice (Italy) on the 7th and 8th November 2016. 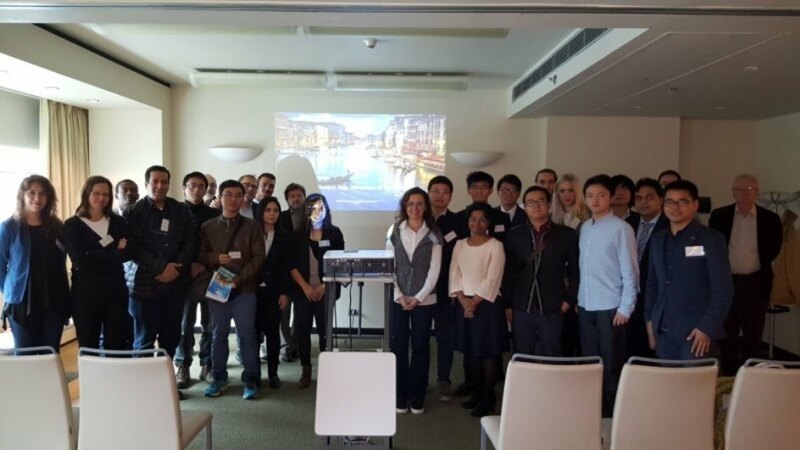 The “Best Presentation Award” was recognised in the form of a signed and stamped official certificate, and selected amongst 73 oral presentations based on the best combined marks of the paper review and presentation quality appraisal conducted by the Session Chair at the conference venue, and assessed by the Program Committee. 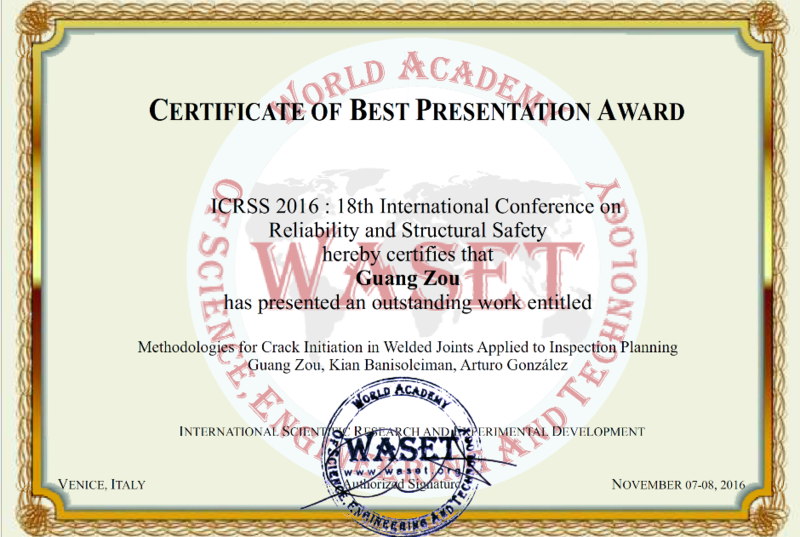 Guang Zou, Kian Banisoleiman and Arturo González (2016), “Methodologies for Crack Initiation in Welded Joints Applied to Inspection Planning”, International Journal of Civil, Environmental, Structural, Construction and Architectural Engineering, Vol. 10, No. 11, pp. 1406-1413.